Last week was a whirlwind week for Terrence and Dan. 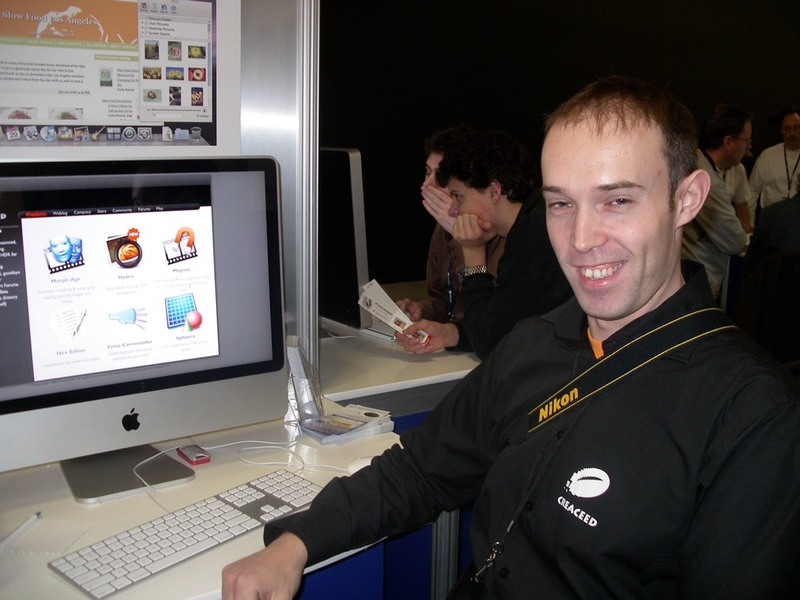 Our first time exhibiting at Macworld, the four days went by in a blur. We spoke to several hundred people, gave out nifty postcard flyers for Sandvox, gave countless demonstrations, and (only occasionally) got a chance to check out the rest of the show floor. 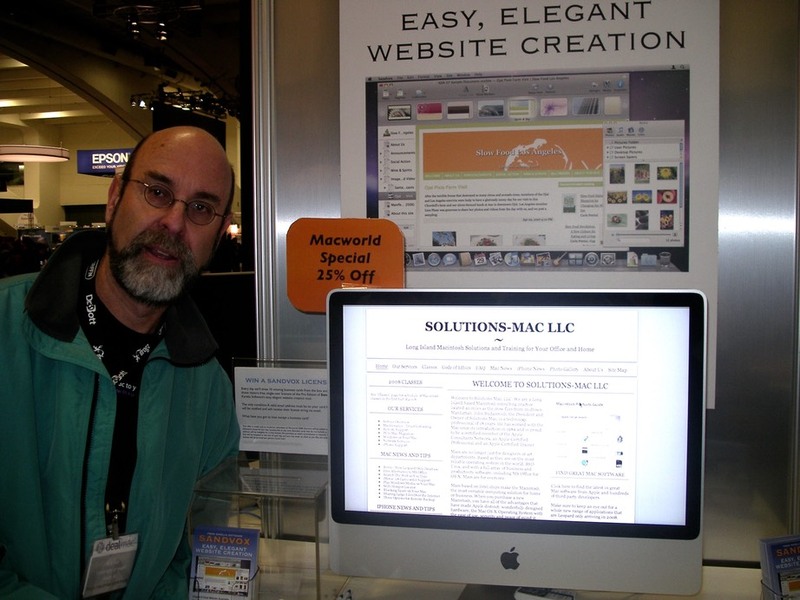 John Budacovich, a Mac consultant, posed with his website, Solutions-Mac LLC. 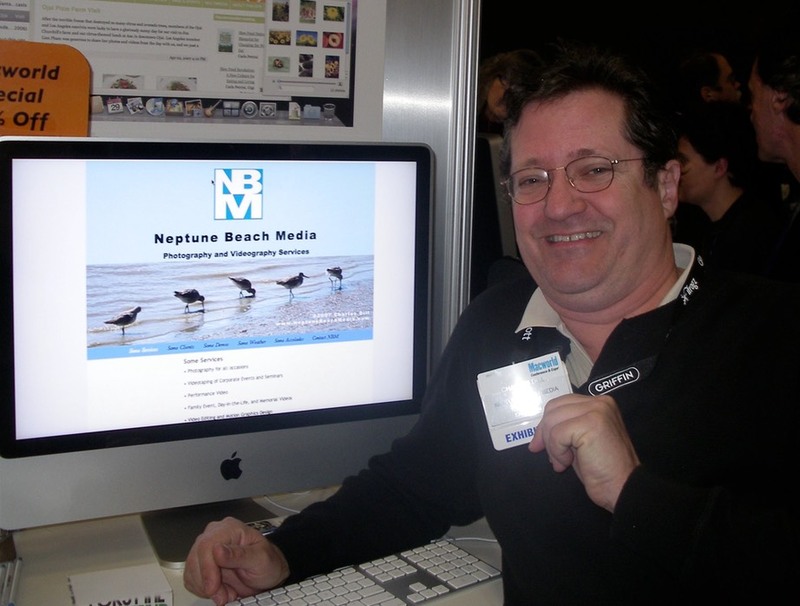 Videographer Charles Dill of Neptune Beach Media. 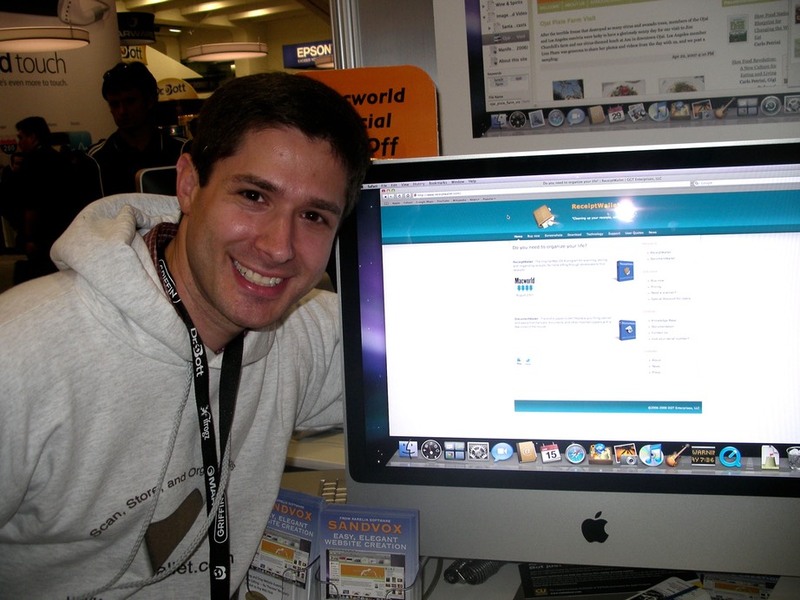 Mac Developer Scott Gruby with his website for ReceiptWallet. Nice to see other Mac indie companies using Sandvox for their websites! Fabrice Herrain of BusinesSense, showing his customized variation of our "Rounded Blue" design. 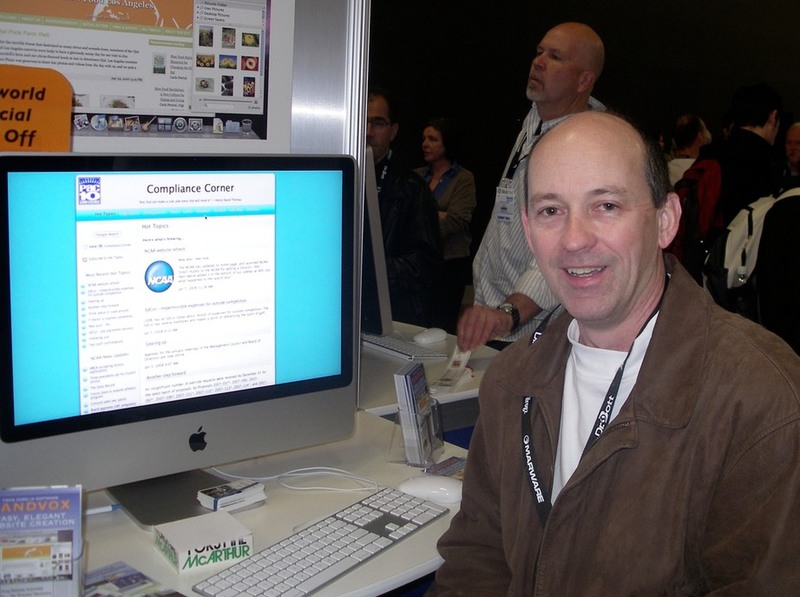 Mike Matthews with his Pac10 Compliance Corner website. 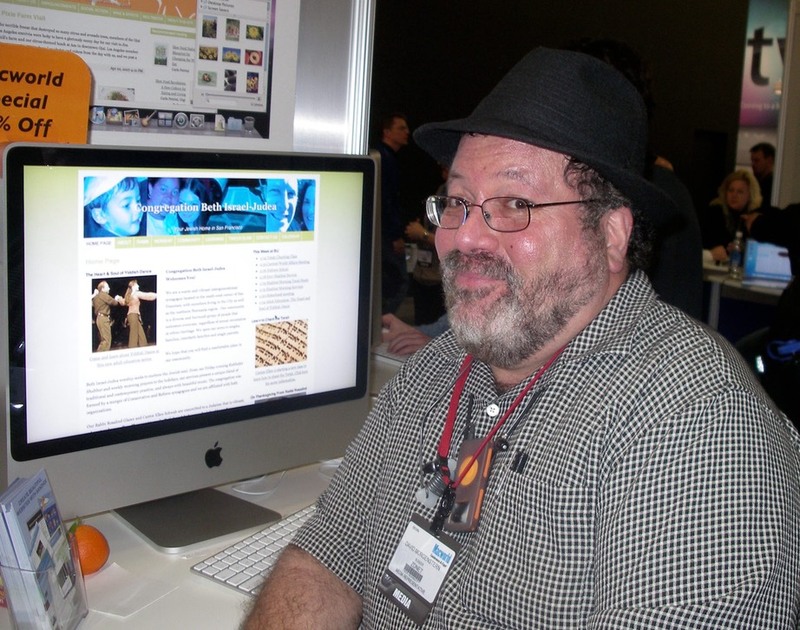 David Morgenstern of "The Apple Core" with one of his several Sandvox-created websites, Congregation Beth Israel-Judea. 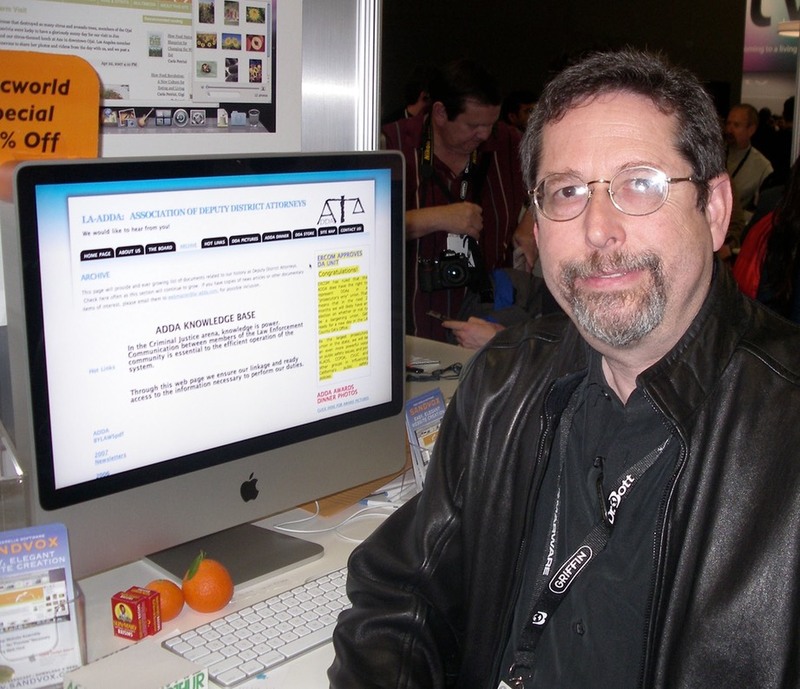 Loren Naiman with his website (created using one of the BlueBall Design add-ons), LA-ADDA: Association of Deputy District Attorneys. 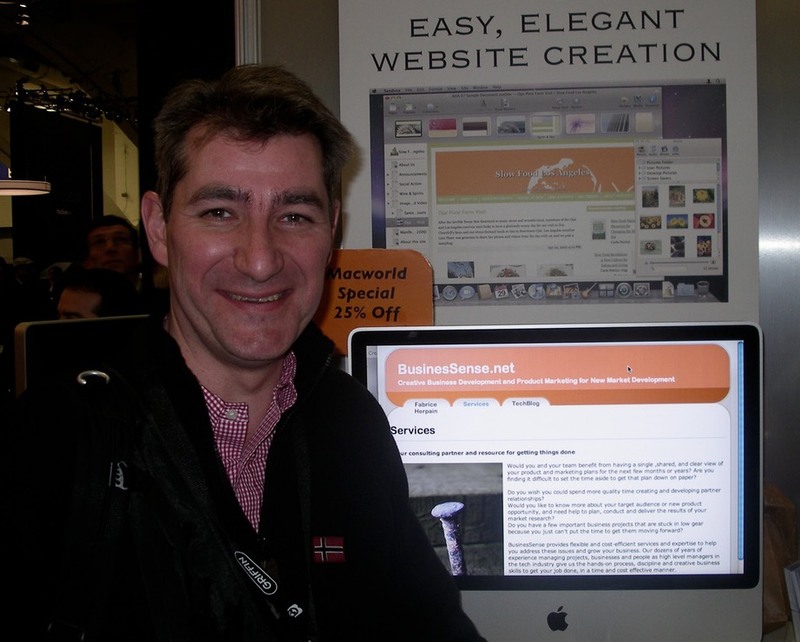 Mario Panighetti with his personal site, hosted at mac.com. 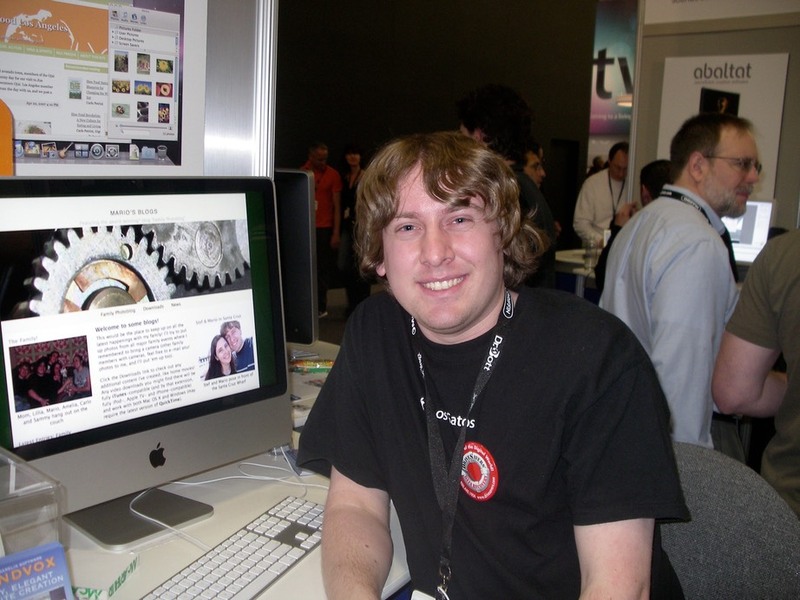 Mac Developer Raphael Sebbe of Creaceed shows off his website with a customized design.